Working in the construction industry is a leading cause of death. What's frequently requiring tradesmen to work at height are the construction homes, buildings, bridges, etc… Luckily, skilled tradesmen are aware that fatalities and injuries involving height are serious, and that safety measures carefully need to be considered. The safety awareness training is mandatory for all hard workers who have particular duties that require them to work at height. There are great risks that come with working at height; and employers and employees need to be aware of this. With added access and mobility restrictions, being alert to the proper safety equipment would be critical in these cases. They can also prevent injuries and death. For example, a man was killed in a fall down a stairwell back in July of this year (2016). If he wore a harness, would it have saved his life? Falls and height fatalities are particularly common risks due to the lack of equipment use, such as ropes and harnesses. These products are for the safety of those who work in the construction industry. When height is part of a worker's job, it's best to use harnesses and ropes whilst working. Plan on getting the right equipment for your workers? Purchasing the right ladders, as well as the right scaffolds which are appropriate for various jobs, will guarantee your workers safety! As well as this, employees should be properly trained to use this type of safety equipment. When roofing, preventing falls can be as easy as purchasing the right harnesses for each worker. They should be properly trained to use personal fall arrest systems (PFAS). A tie off to an anchor for instance can be an answer to preventing a $25k fine or even injury or death of a worker(s). The four main safety products that a height worker should utilize to get the job done safely are hooks, connector carabiners, safety sleeves, and carrier rails. It is also required that you as an employer inspect that all safety equipment is essential to every job, as well as ensure that the PFAS properly fits the worker. Planning, providing and training are the three steps OSHA recommends to prevent falls and fatalities. A construction site is an ever changing environment. This is because hazards are inherent to this industry and only increase as a construction project progresses. Things that are particularly common when working in the construction industry are for overhead lifting equipment to easily fall due to inadequate ties on hooks or harnesses; workers not wearing their hard hats, the shifting of tools, equipment and heavy loads, as well as constant movement of products on uneven terrain. When a construction project begins, normally a preconstruction safety meeting is given to all workers first. This is because safety should always be first in this industry. When things begin to move forward and the project managers and journeymen are out of sight, construction workers get busy working on their tasks. Thankfully, not everyone in the project will be working all at once. When working on the construction of a house or office building, at times, certain subcontractors should secure all loads as a way of preventing swinging objects or even to prevent slipping objects. For instance, a painter coming in when an electrician has to get into the walls can cause conflict of work. It can also cause moving objects, such as live wires, being touched when other subcontractors are unaware of electrical work being done. Normally, if the job entails, subcontractors have to coincide with schedules to get each task to it's completion during a certain time, and according to the project management. Besides, lack of work progression can produce fines too. But, with all the moving of objects and subjects, things can get hectic during the midst of it all. Safety requires alertness and being aware of your surroundings. With the proper training on this subject matter, accidents and injuries, fatalities, and causes of death wouldn't be so high when it comes to moving objects in the construction industry. It is always important to remember the hazard recognitions of the big four: being struck by falling objects, flying objects, swinging or slipping objects and struck-by objects on ground level. It has happened where by workers have been struck by flying objects such as particles or nails, which can go through people's skin. Being struck on the ground level is not a joke. Materials can be diluted on workers by mishaps and carelessness. Nevertheless, proper training with hazardous materials, safety masks, hard hats, gloves, and other proper clothing materials can prevent injuries and even deaths. On a daily basis, slips, trips and falls are common on a construction site. In fact, these types of accidents are also accountable for the thousands of injuries and deaths that occur on construction sites. When working under conditions that require height or even ground level, the best thing to do is keep your "eyes peeled". Communication is key in the construction industry. When there's a job in progress; there is plenty of activity. Workers have seriously injured themselves simply from slipping and falling even around barricades at a construction site. Ignoring these types of areas can prevent slips or falls. With various phases of a project, working on a house or building, for instance, scaffolds without harnesses and tie-offs can lead to accidents. Baring that in mind, scaffolding should have proper anchoring to it's structure, the planks should be cleared, and it should be covered. In other words, the "safety belts" should be properly tied-off to their harnesses or guard rails. Scaffolding with the proper bracing installed will prevent slips, trips, and falls. 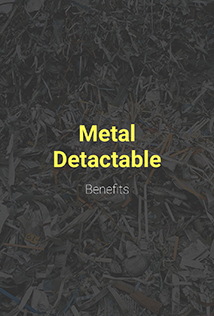 Other parts of prevention are debris lying around on floors and working areas; also, with weather related hazards, a worker could slip due to wet or muddy areas along the construction site, adding further danger. This includes ice conditions which can commonly create dangerous ground levels. To prevent this, sand and/or calcium can be applied to icy areas. Noise is a major hazard within the construction industry. Using industrial hearing protection such as ear plugs will keep your staff's ears from the noisy construction sounds that can damage workers ears. Because of the repetitiveness, the excessive noise will cause long term damage and hearing problems if not properly prevented. Furthermore, it can make the job miserable without industrial hearing protection for any construction worker when out in the field, causing large amounts of pain to an individual. Industrial earplugs are comfortable to wear and can protect the employees ears by reducing their exposure to harmful and irritating noises. The excessive sound can be caused by the use of hammers, trucks, drills, jack hammers, and can be repetitive on a job site. The repetitiveness can also start to get irritating after a while. Additionally, industrial hearing protection, such as disposable ear plugs and refills for plug stations, are ideal for the construction industry. Some of these industrial hearing protection ear plugs are made of foam. Besides, it's mandatory for employers to document a comprehensive noise risk assessment and give out the proper PPE, or personal protective equipment to their employees. For total protection against hearing damage, using industrial hearing protection equipment is mandatory for any construction worker. Hand arm vibration syndrome, otherwise known as blue finger, is a debilitating industrial disease. It's caused by prolong use of vibratory power tools. With blood vessels, joint and nerves being triggered while a person is working with these types of tools, prolong damage can surface in a worker. It may not be instantaneous, but it can surface years later. Because of years of no or little protection, even inadequate and inappropriate equipment, workers have suffered from Blue finger. This disease is a constant in compensation claim cases. The claims are normally made by former construction workers whom had little or no protection from hand vibration syndrome. With the appropriate training on PPE and proper updated safety equipment, these claims would be null. Although, using special gloves such as anti-vibration gloves can help. These padded gloves are layered with vibration polymer, meaning that they are specially layered with compounded, formed chloroprene which is seamlessly designed to form the gloves, still making it comfortable to work with. There's a list of various vibration levels for various tools including how long each worker should be exposed to certain vibration levels. For example, a hammer drill will vary on the amount of vibration levels it gives off. It can vary from 6 m/s² to 25 m/s² to even a higher level. There are circulatory and neural effects in the fingers which can be prevented by using PPE. Based on the recent National Institute for Occupational Safety and Health (NIOSH) study, it is concluded that occupational health professionals, workers, and employers need to consider the seriousness of vibration syndrome. NIOSH recommends good work practices, and personal protective equipment that can be of use to help reduce exposure to vibrating hand tools and to help identify vibration syndrome in its early stages among workers. There's a saying in the construction industry about the greater demand of risks in each job. With the proper material and equipment being used because of the constant handling of materials and equipment, there's always a risk. Because of various trades, those employees who still need the proper safety training when it comes to material handling should always remember using the PPE. Additionally, when there's tons of movement around a construction site, hard hats should always be used. This is required by OSHA. Truck seals, security seals, and lift tables. In addition, there should also be some form of testing, so as to ensure that construction workers and their supervisors are knowledgeable with the material and manual handling of such materials on site. Having this knowledge is considered to be an asset to employers, the crew, and to the workers themselves. 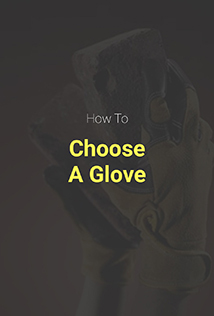 Chemical resistant gloves, which are commonly used at construction sites, especially at the wash-stations, are helpful in preventing harmful materials being exposed to the skin. They work because of the insulated material they’re made from. Indeed where handling material manually, a thorough test should be given after safety meetings on this subject. This will ensure the employers and employees competency on the subject matter. It should also be documented as a way of maintaining the official mandatory verification. Overall, maintaining the adequate supply of safety equipment, as well as knowing how to use it properly, will be beneficial in the long run for both employees and employers. A hazardous area at a construction site is common, as well as a collapse in these areas. Without proper supervision, a manhole can become a death-trap for workers in the construction industry. On a yearly basis, excavation crews and those that watch over trenches that shouldn't collapse, trigger burials. In fact, these also contribute to the injuries, fatalities and deaths among workers or bystanders when they work on these excavations and trenches. With the right precautions implemented here, fatalities and injuries from collapses can be prevented. For instance, those that risk an unintended collapse, such as scaffolds, rooftops or trenches, still are part of the equation of collapses annually. They're normally hidden away or left unmanned, but there are plenty of places and areas that are left abandoned around construction sites which are considered "playgrounds" for kids. The importance of ensuring the stability of places being built are extremely important. For instance, the building structures and the demolition of certain areas of buildings, including the refurbishments of them, can utilize safety nets on ground levels, signs or banners notating "construction danger zones". The number of collapses are high. Such collapses are, for instance, around rooftops. With proper equipment for collapses that can help prevent further injuries and fatalities all together. Wearing the required PPE for workers that require to be on scaffolds, rooftops, or any high altitude area of the site. Temporary bracing of sudden or uneven buildings and houses can be helpful in collapses. A suitable large exclusion zone area should be established around the structure or construction area. Respiratory diseases, which can cause harm to the internal organs of a worker, should be taken seriously. This includes dust particles, or fine, toxic mixture of hazardous materials and fibers that can cause damage to the lungs. This is a leading cause of chronic respiratory infections, as well as other serious health ailments and diseases. These include chronic obstructive pulmonary, asthma and silicosis. Either way, employees have the call of duty to ensure that they are aware of airborne fibers and materials, and should be sure to use all precautions as a way of preventing these respiratory infections or diseases by using PPE. The health and safety supervisors of any contracting company can give disciplinary action when employers are not following these rules. This includes the use of proper face masks, air-purifying respirators, and air-supplied respirators. There are approximately three construction workers which suffer from electrocution annually. This is during normal working conditions such as at a residential or commercial building construction phase. Electricity is a powerful utility and only qualified electricians should be handling it when the time comes for the electrical work needs to jump on board of a construction project. There are a number of power lines, live cable wires, and miscellaneous electrical work which can involve electrocutions. It's common to see a non-qualified electrician to do work for a contracting firm and not be penalized for it. But, there is a time and a place when it can catch on. During unexpected inspections and walkthroughs, carrying out the electrical work when not certified or qualified to do so can bring a fine/fee to the main contractor at work. This is why it's important to train in health and safety precautions with employers and employees of a construction or contracting company. Currently the new breed of construction workers may see asbestos as a thing of the past. Yet, this is a true fictionalized theory amongst all levels of construction workers. Asbestos is a form of airborne material that cannot be seen. Employees should be trained on how to identify with it, as well as what actions they need to take if they come across this material at a work site. When not disturbed, workers can come across asbestos and may not know what to do. For instance, during a demolition, asbestos can be in the building and cause harm to those who are unaware of it and therefore work around it. It can have major negative effects to the lungs and, in general, the entire respiratory area. Wearing face masks, gloves and respirators can help prevent any harm which could potentially occur from being exposed to asbestos. There is one big risk in the workplace that gets overlooked, and that is surface contamination. This risk could be in both the construction industry or even in the food processing industry. The various dangers that employees have come across on average when dealing with surface contamination could’ve been prevented. For instance, monitoring, eliminating, and securing the areas where surface contamination will take place, can reduce risks of an individual getting contaminated. Slippery Contaminants, such as oils, grease, or any type of fallen chemical which can make floors slippery can be exposed cause skin irritations and making it hard to breath if not cleaned up immediately. There's also sticky contaminants which are items like sticky or tacky glue, or any other type of sticky residue that can be hazardous to the area. Flammable contaminants can build up on a surface causing it to be highly flammable later. It's a tick tock time bomb. If there's enough heat sources in that specific area, get ready to put the fire out. 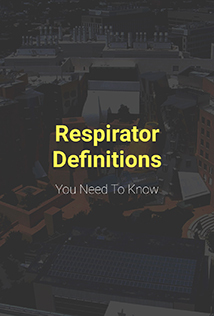 Respiratory contaminants are those contaminants which make it difficult to breathe or inhale. It can be the beginning of a major health problem that can be prevented with a respirator or mask. In addition, there are biological contaminants and chemical contaminants which are the worst, not only because they are deadly, but also because they can't be seen with the naked eye. However, by wearing safety goggles, safety masks or respirators can majorly help. To avoid risks in the near future, using industrial hearing plugs for the ears to prevent hearing loss or poor hearing in the future should be taken seriously. Also, workers aren't allowed to utilize scaffolds in rainy or harsh weather. Also, for eyes and face protection, safety goggles or glasses, and shield guards should be worn at all times. When in the construction industry, grinding, cutting, nailing and welding are all parts of getting something in the eyes and face. This is where eye and face protection are key. Take for instance when an electrician is exposed to electrical hazards while rewiring on a job, they should be using face protection masks while working on energized electrical systems to prevent any long term harm to the skin. Nevertheless, the foot protective gear is also important for future health risks. There have been many injuries such as amputees of feet and toes because of the lack of foot protection. Construction workers are therefore required to work in safety-toed footwear, or steel-toed boots, and basic slip-resistant and puncture-resistant soled shoes. It will also prevent future amputees and injuries to the feet. These preventative protective gears and equipment should take some of the risks of bad health in the future. Working in the construction industry is seen as working tough as nails. Along with the OSHA standards and policies, everything must be up to code and all employees must follow the safety guidelines and procedures that the Occupational Safety Hazard Administration sets forth for companies in the construction industry. Following the proper safety gear, as well as equipment policies are the best ways to avoid sudden injuries, accidents, and even death on the job site.